If you have more information about places and dates, leave a comment. April 4 – 12: Transformer – Queer Festival, Bruxelles, Belgium (read more). April 30 – May 2: Noc Walpurgii (The Valpurgis Night festival) Warsaw, Poland (read more). 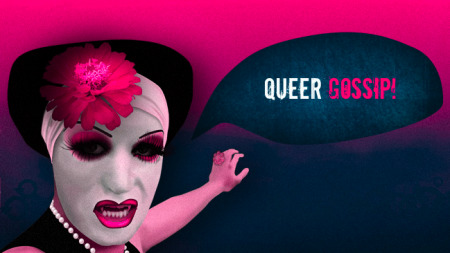 May 15 – 18: Entzaubert Queer Film Festival, Berlin, Germany (read more). May 31: Queerlitteraturdagen (The Day for Queer Literature) in Gothenburg, Sweden (read more). June 6 – 8: Århus Queer Festival, Denmark (read more). June 25 – 29: Queer-and-Rebel Days at Schwarzer Kanal in Berlin, Germany (read more). July 14 – 20: Jafnaðr – Nordic Queer Youth Festival, Norway (read more). July 21 – 27: Copenhagen Queer Festival, Denmark (read more). August 4 – 10: Aalborg Queer Festival, Denmark (read more). August 14 – 16: Oslo Queer Festival, Norway (read more). September 18 – 21: Queer Beograd, Serbia (read more). From August 4 – 10 the Aalborg Queer Festival will take place in northern Denmark. This is the second queer festival in Aalborg, and more info will be published on the festival’s Myspace page in the coming months.